Uganda – TDA is to be TBD! Today was the day the result of the Flag-Bearer for the coalition of the oppisisiton parties in Uganda. The Presidential Candidate of the TDA is supposed to go against the big shot, His Excellency Yoweri Kaguta Museveni and his NRM party. The machine that also controls the Parliament and the Electoral Commission of the country! So the candidate that is running against the machine and manufacture of the modern Uganda has to be strong. Have to viable, have a moral code and some integrity to pass on the marshes to corruptness in a political landscape where the parties and fellow politicians has been bought or brought into shambles. If you don’t follow the codes of ethics of the man with a vision you can be played out and lose your career in a hot minute. If you don’t follow his words and the main cronies of the nation then your left behind. If you try to be independent and thinking in the NRM party then you’re pushed to the side and clipped your wings. If the Mzee fears that you have ambitions to take his slot, then he will leave you behind as he has done to Hon. Gilbert Bukenya and Hon. Amama Mbabazi. So we are here today when many has followed this Ifs in different equations and with various formulas that ends in the result of losing out on their place in the ruling party. An makes you lost in the opposition. Certain people has gone out after finding the words of the Mzee to be going back on the principals they fought for their freedom in the Bush. This is the likes of certain FDC historical’s and the famous Flag-Bearer of the FDC Dr. Kizza Besigye. Who have been a pawn and a man who has gone for title and grand position election after election and lost after rigging and harassment! 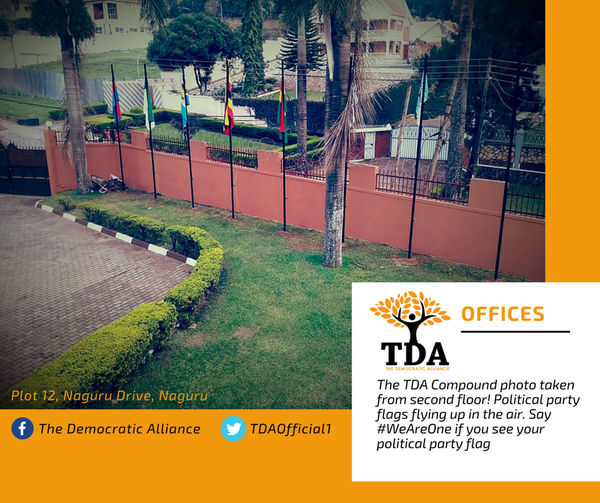 The second man who also wants to be the Flag-Bearer in the TDA is Hon. Amama Mbabazi who has gone from being a loyalist to the Mzee and recently fallen from grace. Even tried in the preliminaries to go head to head and be the Presidential Candidate in the NRM. 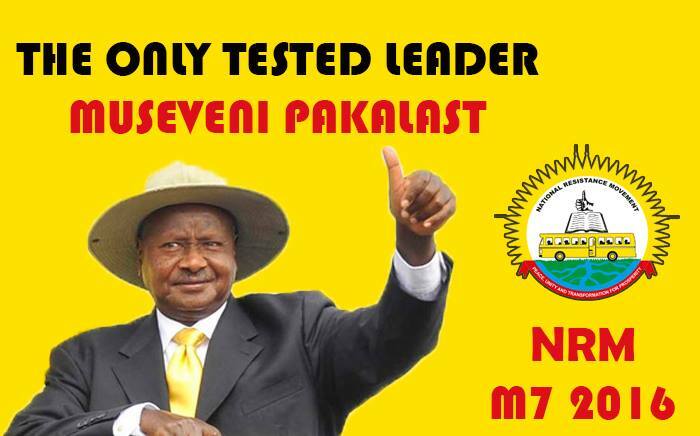 He sure lost that one to Mzee, not surprisingly; only one man’s vision can rule the NRM! So that the Mababazi is a runner for it was after signing the deal to be a part of the TDA only 12 days ago and independent candidate through the Go-Forward Ticket in the hierarchy of the coalition. The third ones was Gilbert Bukenya as another former loyalist in the NRM regime that fallen from grace, but didn’t have the strength and support from others in the coalition therefore hasn’t been issue of his place. Still it proves that the fallen ones have a place and their knowledge can be used in a coalition to defeat the NRM and Mzee. Last candidate was Norbert Mao who has had a viable position up North and been long in the politics. But still hasn’t the whole nation behind him. Especially with his bickering back and from acting as opposition candidate to speaking like he was a part of Mzee’s team. So that the parties didn’t see him as serious flag-bearer in the coalition wasn’t really a newsflash! The other parties didn’t send their front men or woman to being Presidential Candidate. Like the CP, PPP, UPC and JEMA. That is Olara Otunnu of the UPC, Jaberi Bidandi Ssali of the PPP, Ken Lukyamuzi of the CP and Asuman Basalirwa of the JEEMA. Leaders who could easily gone forward and also filled the nomination form and justly so. So that it’s natural and would be worrying wouldn’t be issues between Amama Mbabazi of the Go-Forward Ticket and Dr. Kizza Besigye of the FDC Ticket. The issues will be on who is most fit. Then that the parties also vote differently on who they believe is most fit as the Press Statement from TDA told today. That certain parties went for the People’s President and the other went for the Go-Forward Ticket. It’s natural that people choose differently. Even if there is only one man with a vision – the Mzee! But he is not really the issue the here, only that the candidate as Flag-bearer has to beat the Mzee. Therefore the coalition can’t be fragmented and weaken since the approach as single units against the NRM ruling party hasn’t been fruitful before. Therefore this is the time to stay stronger together then weaken alone. Especially since that hasn’t worked before. The NRM has the machine and power. That should be reason to stay united and prove the Mzee that they have an edge. Alone they will be disfranchised and played out. Some can be bought and run to show off so it seems as the country has a multi-party elections and democracy. The elections has been well-rigged and Electoral Commission has placed loyal men of the regime, with the same in courts that has verified the results in the past and given rulings in favor of the ruling party and the Mzee. While the world and nations accepting the rulings and not pressuring the regime to change ways. With this in mind and with the knowledge both men has Dr. Kizza Besigye and Amama Mbabazi has together with the supposable strength of the opposition parties and the protocol of the TDA to prove guidance and integrity to the Presidential Election in Uganda this coming 2016 that the world has never seen before. That can they do if they have the courage and vitality take the pressure and malice from the NRM regime for a few more months. If so that person should step up and try. Not that there is great chances of succeeding as it looks today, but the opposition has to give it hard nudge in the right direction. As they want to show the citizens and public in Uganda that they want to rule for real as a coalition willing to change and rebuild. Make structures for more free and fair society not only for the cronies and nepotistic Movement Men that want to follow the words and monies from the Mzee. That is not an easy act to change when so many are eating of that plate, even if it is breadcrumbs their better than nothing. But they would be proud if they learned how to fish and catch it themselves and may be even earn enough to actual buy the bread fair and square. 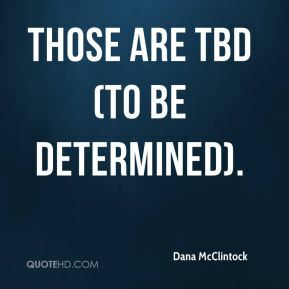 So that the TDA who has been for too long TBD: To Be Determined! Time to determine the place and actions as simple as the Joint Candidate for the TDA! And have a man who can rein this coalition and honor the codes and protocol, with diligence and fight through the coming election which will be full of struggles and not easy ride. If the run-up and months of preliminary meetings has proven anything, then this will be more arrests, more loss of personnel, some more people vanished, preventive arrests, teargassed meetings, sieged town where the oppositions has meetings and so on! Please all men of TDA take a minute be wise. You all know you go up against and has tasted the bitter taste of being opposition against the NRM regime who will use all the tricks in the world to regain their rule and therefore the opposition got to show heart and prove that there are noble men in the land. Please show that and be different then Mzee who only cares for his coffers and his vision, and has forgotten the words he stood for long time ago. Which is a reason why so many people has deflected from the NRM and from Mzee. Peace. The Proposed changes and added amendments on the Election laws that can be seen as preparation for the Election in 2016 in Uganda. 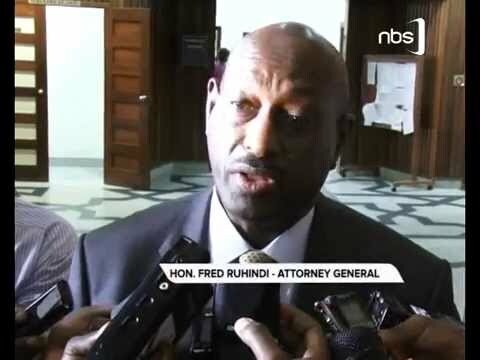 Parts of the bill with revise the requirement for a candidate to campaign in every district in Uganda and to stop the polling stations at 4:00PM on the polling day. Another main part of the bill is that nominations fee for the candidate will go from Shs. 8Million/= to the the new fee of Shs. 20Million/=. The first issue with the candidate is that with the surge of districts make it difficult for a candidate to be in all the new districts before the polling day while campaigning. The second one is for fitting the economic environment that is different than in 2005. The third issue is that the polling time is set from 5:00PM to 4:00PM to give the Electoral Commission more time to count the votes. “a fourth table located at least ten meters from the ballot boxes where every voter, after deposing the ballot paper into the ballot box, shall proceed and the thumb or other finger on the voter’s right hand determined by the commission marked with or applied with inedible ink as one indicators that the voter has cast the ballot”. First part of the bill is to get four representatives of persons with disabilities to be elected by Electoral Colleges Constituted in accordance to the four traditional districts: Central, Eastern, Northern and Western regions. The second part of the bill is on the nomination fee for the candidate will go from Shs. 200k/= to new fee of Shs. 1Million/=. First part of new amendment is: “The commission shall, not later then two weeks before polling day, transmit to every political party and organization and independent candidate taking part in the election, an electronic text based copy of each voters’ register which the commission shall use on polling day”. Second part is that the Commission has to employ one a District Election Administrator and an Assistant Election Administration. The District Election Administrator has the supervision, is in charge and custody of the voters’ in the district, and also seeing through the manner of the voters registers. Important character that the Administrator need is integrity, high moral and also “a person taken to have behaved in a corrupt manner in relation to his or her duties if he or she commits any act of dishonesty in connection with his or her duties, whether or not it constitutes a criminal offence”. Third part is: “the Commission shall, before the display of the copy of the voters’ roll publish in the Gazette and in the print media, a list of all the places at which a voters’ roll is required to be displayed under this section”. The Presidential Candidate first gets more expensive to pay the nominee fee as a candidate it goes up Shs. 12Million from the 2005 to the total of Shs. 20Million and was at 2005 set to be Shs. 8Million. Everybody understands that’s a viable and big fee change and the argument is for the economic climate that has changed since 2005. If the value of the shilling has devalued that much in about ten year period that the candidate must pay over double of the fee, then the economic system has server issues. The Second change is the time that is set from 5:00PM to 4:00PM on the polling station at the Election Day to give more time for counting. I am sure that this will be more of a statuary fix. The counting will have enormous ability to be manipulated after the votes are cast. The time set or fixed times is just an small tweak. The third change in the Election laws are the thumb print that each voter has to get before casting the ballot. This will be sign of ink on the thumb proving that the voter has cast his or hers ballot. It’s a nice fix especially thinking about how the reports was a last election that people and military personal was bussed between voting stations to vote multiple times. With the ink on the finger it should be harder to dupe this one and the officials should easily see the print of ink on the thumb if a person tries to vote twice. Fourth change is that a nomination fee for representatives for the disability goes up to Shs. 1Millon. There will also be four representatives one each representative from traditional districts: Central, Western, Northern and Eastern. This is in general a nice gesture to the community with applying that the Parliament gets people with special needs to the Parliament from now on. Fifth change is that each political parties and independent should at least receive the voters register before two weeks before the polling day. This is good thing to give them time to see the registers and check it. Might even give feedback to the Electoral Commission on shortfalls for the registration of voters in districts and municipalities that is necessary, though two weeks are little, if the registers are big who would have the capacity to oversee and scrutinize the register? Sixth change is the additional new staff each district need. The new staff by the law is now District Election Administrator and Assistant Election Administrator who will look over the Polling and Election in the District. The person who will be hired has to have a moral compass, integrity and not act in a corrupt manner. All of the ones that are put into law are not exceptional this is what they should be as members of society and also professional people delivering and serving their nation and government so that the citizens can be sure of a valid result. A result and poll that is efficient and following procedure so that the tally can be justified and also being correct. Because if the Election Administrator doing their job and picking the right people, not letting the Electoral Commission having ability to trick the numbers or anybody else. Then the ballots and elections would be less rigged and actual have trustworthy people doing their jobs. If not, this is just a nice on paper and we still see the same issues in the Districts and clear the ballots for a free and fair election in 2016. Seventh change is the publication in the Gazette or in print media. Where the Voters roll will be published, that is just a good thing. And proving to the public that the results getting official and can be explained. That should have already been there and is basic of official and public order, with this the Electoral Commission proves that it does it actual job in the election. This all should be seen as interesting and see if this get voted in. If this gets official law it will have some effect on certain aspects on the coming election and the later by-elections as well. Since the signs of the public and local display will be visual with the thumb print and the District Electoral Administrator getting a vital role in procedures of the polling. Also the establishment of higher nomination fees for Presidential Candidates and also Special Disability representative which is total 4 representative one from each traditional regions. That is a great sign of all of the laws. I don’t want to write for the third time what the laws says, but the issue is that it’s really patchwork and also quick fixes. If they will play big in the election is time to tell. And see if the next Commonwealth Report of 2016 will be as harsh as it was on Presidential Election in 2011. Peace.